Fresh Perspective: The State Department estimates that 1 million Americans live in Mexico — many do so illegally. Find out more by reading this story. But there’s something you can do! This month the Appropriation Committees will meet to develop the 2018 budget, first the House then the Senate. Contact your representatives. Find out what you can do here. Read Richard Pilgrim’s article. This last year, Chula Vista’s homeless numbers decreased by 31% and National City’s homeless numbers decreased by 66 %. The most likely reason? Both cities implemented ordinances that required RVs, trailers and other large vehicles on city streets to have permits. Homeless advocates say that the decrease doesn’t necessarily represent a smaller homelessness problem. Instead, the homeless felt forced to move elsewhere. Interestingly, the number of people counted on the streets of Chula Vista dropped by 44%. However, census takers noticed the number of people on the street in National City tripled. Voice of San Diego’s Lisa Halverstadt has the story. Mayor Mary Casillas Salas gave her State of the City address this week. 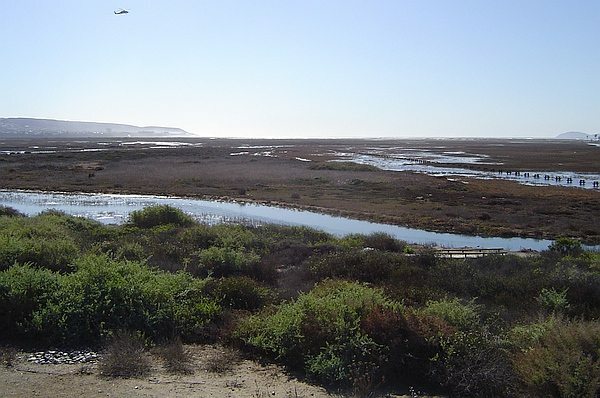 Reminding residents that Chula Vista means Beautiful View, these speeches are often a good time to take stock of some of the positive things happening in the South Bay. –Residents are to be assured that CVPD will enforce all criminal laws without regard to immigration status. She explained that the city does not want anybody to be afraid to report a crime because of their immigration status. All people, including immigrants, are vital to the success of our communities. –SANDAG released its crime statistics and in Chula Vista crime fell by 17% between 2012-2016. The city is in the top 10 safest cities in the country, and that’s in spite of the fact that Chula Vista has the fewest police officers per capita in the state. –A citizen’s oversight committee was created in order to make sure the half-cent sales tax, approved by voters in November by 68%, will be spent properly. As a consequence, Floyd Avenue was completely repaved and two old fire engines were replaced with two new ones. Other infrastructure improvements are yet to come. –Last Sunday, six families were able to reunite for 20 minutes at the border wall in Friendship Park when Border Angels worked with border patrol in order to open the door between the U.S.-Mexico border. Jeanette Fernandez who lives in Chula Vista was able to embrace her father for the first time in 10 years. Read her story. You’ll remember that National City back in February voted for an independent investigation of how SANDAG may have deceived voters, telling them Measure A would generate $18 billion over 40 years, although they knew this was untrue. SANDAG, our regional transportation agency, manages millions of taxpayer dollars. Over time, it has been in desperate need of change. Now, Assembly member Lorena Gonzalez Fletcher — our representative for California’s 80th Assembly District — wants to tackle SANDAG reform. Read her op-ed piece that explains her proposed SANDAG bill here. That said, let’s celebrate! 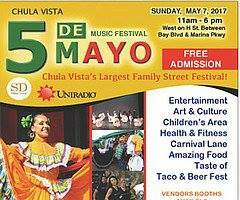 After a four year absence, Chula Vista will host a Cinco de Mayo Music Festival. Twenty musical and cultural dance performances will be showcased on Sunday, May 7, from 11 a.m. to 6 p.m. at J Street Marina Park (550 Marina Parkway). The event is FREE. What a great story of Paula Casillas. And may I also add this,… I am so very proud of my family and all the accomplishments that my whole family has done with the community and all Uncles along with my father, Charles Casillas that served our Country! I am so very proud to be a Casillas and certainly proud of my family!